Christmas is here. Are you ready to celebrate Christmas? Did you finish the shopping? If you still need to buy essentials, check out the article to know about attractive Christmas deals. Festive fever is upon us, but it can be more jovial with attractive Christmas deals. Well, you need not worry about it. To make your Christmas more happening, there are many money-saving Christmas deals available. You will get $5 cash back on purchases of $50 on clothing. If you shop on Macy's online portal, you can get up to $20 cash back. You will get $15 cash back on purchases of $75. The home depot is offering $10 cash back on purchases of $100. You can get $20 cash back on purchases from the Old Navy shopping portal. Catch the sale going on! You can get up to 60% discount on outdoor Christmas decor. Get up to 60% discount on Christmas gifts. Don’t miss the sale on Walmart. Buy Christmas lights, trees, other decor items, stockings, cards, stationery, gift wrapping supplies, and variety of Christmas goodies at a cheaper rate. Christmas celebration will not complete without good wines. And when it comes with a free gift, you shouldn’t miss the deal. Offers.com is offering $20 off on 12 top estate wines. You will also get free gifts for your purchase. Who loves to pay shipping charges! Be happy, free shipping offer is here! As per the Free Shipping Day website, almost 500 merchants are offering free shipping this Christmas. The free shipping offer will start from 12:01 EST on Dec. 15, 2017 (Some merchants may require you to use a promo code to get the free shipping offer). Visit the website freeshippingday.com to get more information on free shipping. If you book a flight + hotel together, you can get 1 night's stay for free. You can also get a free meal (breakfast or dinner) on your hotel booking. You may get fun activities free of cost. Apple vacation is offering deals on spa credits, resort credits, and more during your stay. You can book your stay at $496- $1219 with free fun activities like unlimited bowling, free spa, free meals, free kids activities, etc. Some cheap round trip flights are available for people who love to stay in their own country instead of planning a long trip. You can also get good deals on road trips. Just take three days off from work to drive out on a Saturday morning and drive back on New Year’s Day. Rent a car from Pittsburgh, Pennsylvania from Dec. 23, 2017 to Jan. 1, 2018 starting at $469. This year, Amazon is offering great deals on Christmas. This offer has already started on Sunday, December 3 and will continue through Thursday, December 14. You can find the offers at amazon.com/12daysofdeals and at the Amazon app. Popular toys from Disney, PJ Masks, Transformers, etc. Lastly, Christmas is the time for fun and celebration, but it can be stressful for your wallet. Thus, planning is important. 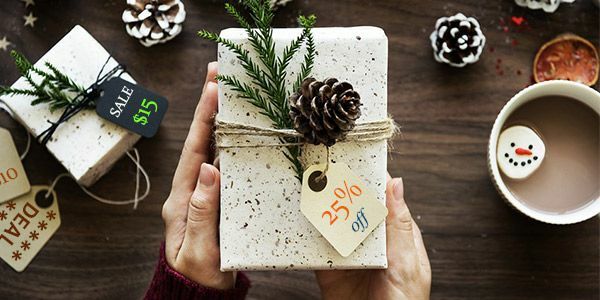 If you plan in advance, you will be able to find great deals, discounts, coupons, and offers to enjoy a perfect holiday time without breaking the bank.